Order 3 or more trays at $101.12 each. Dosage: Administer 1ml dose at 6 weeks of age or older and repeat every 3 to 4 weeks until 12 weeks of age. 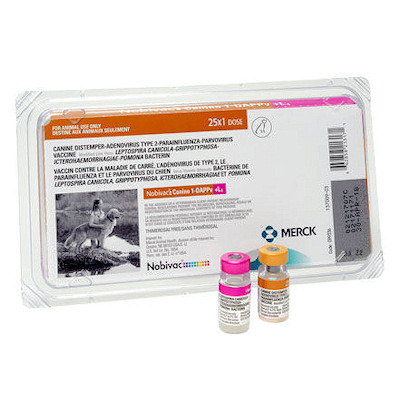 For puppies over 3 months of age a 2 dose primary vaccination is needed. Annual single dose recommended. Not for use in pregnant dogs.